Semibreve by John F. Deane. Carcanet. One Wide Expanse by Michael Longley. UCD Press. What Just Happened by Sara Berkeley Tolchin. Gallery Press. There Now by Eamon Grennan. Gallery Press. What’s left of the Flag by Jimmy Murphy. Samuel French. Blue Raincoat Theatre Company by Rhona Trench. Carysfort. Radical Contemporary Theatre Practices by Women in Ireland edited by Miriam Haughton and Mária Kurdi. Carysfort Press. Medieval Ecclesiastical Buildings in Ireland, 1789-1915: Building on the Past, by Niamh Nic Ghabhann. Four Courts. Clerics, Kings and Vikings: Essays on Medieval Ireland in Honour of Donnchadh Ó Corráin, edited by Emer Purcell et al. Four Courts. 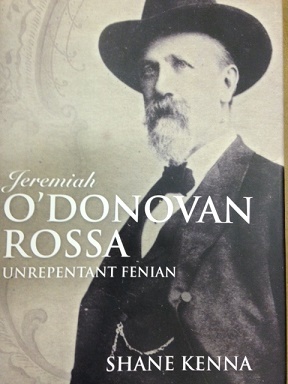 Jeremiah O’Donovan Rossa, Unrepentant Fenian by Shane Kenna. Irish Academic Press. Terrible Queer Creatures: Homosexuality in Irish History by Brian Lacey. Wordwell. The Tudor Discovery of Ireland by Christopher Maginn and Steven G. Ellis. Four Courts. Three Centuries of Irish Art: Crawford Art Gallery Collection. Ruairí Ó Brádaigh: Selected Writings and Speeches, 1970-1986. Cló Saoirse /Irish Freedom Press. Cumann na mBan. 100 Years Defending the Republic. Lita Ní Chathmhaoil and Dieter Reinisch. Cló Saoirse/ Irish Freedom Press. Witchcraft and Magic in Ireland. Andrew Sneddon. 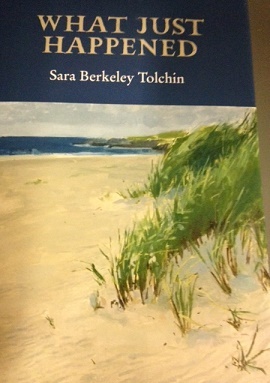 The Postcolonial Traveler: Kate O’Brien and the Basques = La Viajera Poscolonial/ Kate O’Brien y Euskadi. Academica. All these books are now listed in the Library Catalog.